Before we can slow the aging process, we must first know what aging really is. By definition, aging is a physiologic state in which a progressive decline of organ functions is accompanied with the development of age-related diseases. While the causes of this process are still technically unknown, the two most prominent theories have survived the test of time. 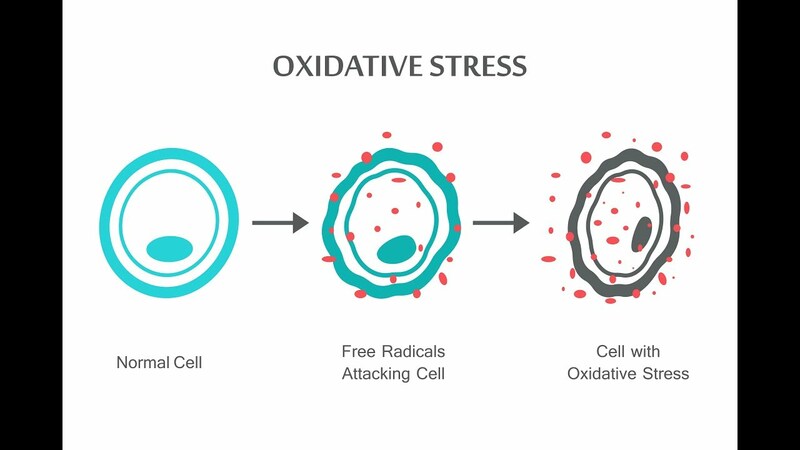 The "Free Radical" and "Mitochondrial" theories claim that oxidative stress, or a disturbance in the balance between the production of reactive oxygen species (free radicals) and antioxidant defenses within mitochondria can lead to a vicious cycle in which damaged mitochondria produce increased amounts of reactive oxygen species. This in turn leads to progressive augmentation in damage resulting in aging. If these theories are true and free radicals are the culprit of aging, what do we do to stop them? While everyone produces free radicals on their own through processes like exercise or inflammation, you may be exposed to excess amounts through pollution, chemical pesticides, cigarette smoke, diet, stress, radiation and ozone. That might sound scary, but the good news is that we may be able to correct free radical damage or aging through environmental, nutritional and supplemental strategies. 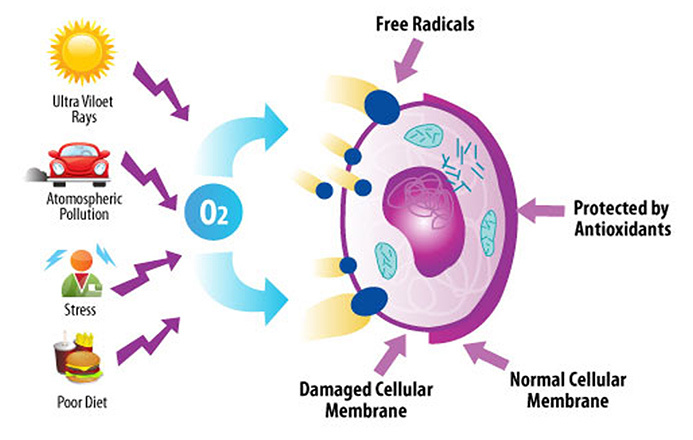 Ideally, the first step would be to limit exposure to free radicals as much as possible. This will avoid speeding up the body's aging process. You can greatly reduce your exposure by not using pesticides on your lawn or garden, buying organic foods, avoid storing foods in plastic and by filtering drinking and bathing water. Environmental exposure isn't the only daily source of free radicals. Chronic physiological stress can accelerate the aging process by creating oxidative damage through sustained activation of the HPA axis. Stress may end up being the leading cause of aging in most people. Especially after a recent online poll by the American Psychological Association which found that Americans are more anxious than ever before about finances, politics, health, safety and relationships. Luckily there are many natural ways to alleviate stress through the use of ancient practices and traditions like meditation and yoga. These ancient traditions are powerful practices to use in the fight against stress. The same system from which meditation and yoga comes from, also promotes the use of plant medicines and herbs like ashwagandha. This herb has been used medicinally for thousands of years to treat stress and anxiety, which is now backed by modern scientific studies. The last step to fighting the aging process is to make sure your body has high levels of the antioxidants needed to fight off the age accelerating free radicals. This can easily be done by eating whole foods with high levels of antioxidants. Fruits and vegetables are the richest source of the essential nutrients. Berries like the blueberry, strawberry and goji berry are among those with the highest level of antioxidants. Green veggies can pack a punch too. 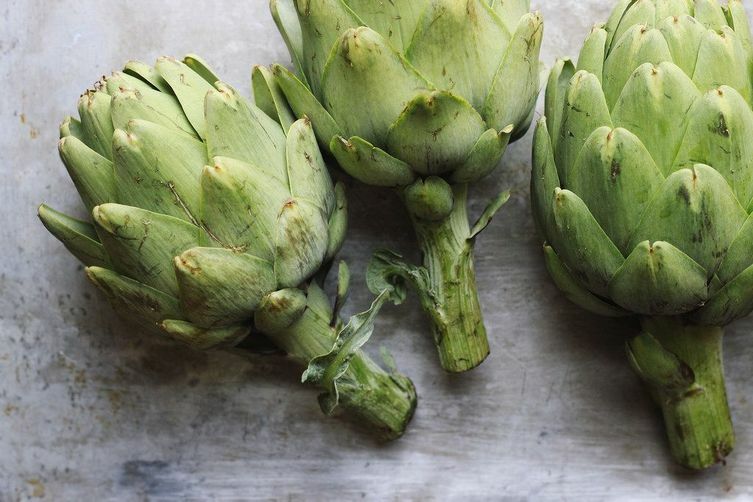 Not only are artichokes a great source of dietary fiber and minerals, they are especially rich in the antioxidants. Leafy greens like kale and spinach also provide powerful amounts of these age protectors. I bet you wish you would have eaten those veggies you didn't like as a kid right about now. By limiting your exposure to toxins containing free radicals, the antioxidants you intake can go to work fighting the naturally occurring ones in the body. Keeping your intake in antioxidants high through the foods mentioned will ensure you have the levels needed. This in combination with practices to keep stress at bay will put the brakes on aging!